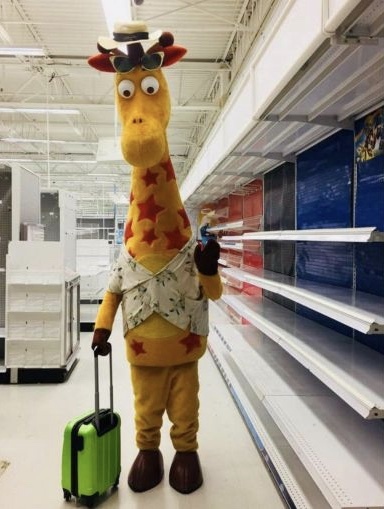 For many of us who refused to grow up during the renaissance period of the purveyor of playthings, 2018 was truly a bittersweet end of our era as we mourned the loss of Jeffrey Giraffe and the world’s biggest toy store. I never thought I’d live to see the day when I would witness the sight of a going-out-of-business sign dangle over the entrance of a Toys R Us, and yet that day has now come and gone. I gotta tell you my emotions ran deep during that liquidation sale as I walked along the empty aisles where shelves had at one time been stuffed to the gills with all of the toys that, growing up, I could not always afford. As a kid, there is nothing quite like that feeling of imminent death that comes from potentially leaving a Toys R Us empty-handed. It was truly one of the most nerve-racking games of “will-they-or-won’t-they” cave in and buy us something whenever we dragged our reluctant parents inside of that toy store just to have a “look around”. So for as much as I miss one of my favorite former haunts, I also strangely miss the energy of all of those well-timed melodramatic temper tantrums that this place had the power to conjure into existence. Sorry, Target but it’s just not the same. 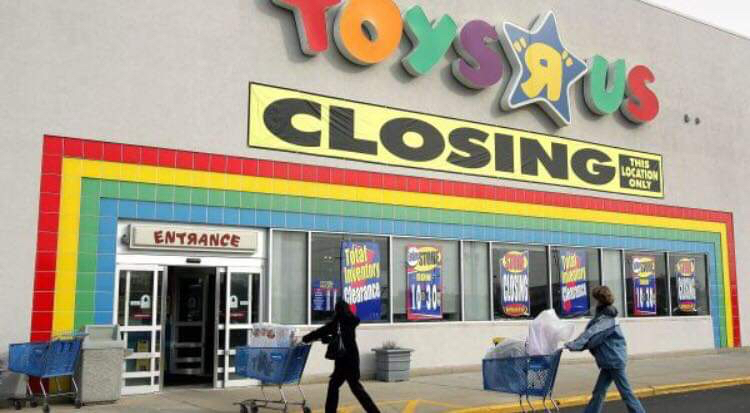 Although there was talk of Kay Bee Toys rising from the plastic ashes and saving us all, which would probably have turned out to be nothing more than a seasonal pop-up at best, this did little to ease us into the reality of how we were now expected to live in a world without a Toys R Us. But could a revival be on the horizon? Funny how life can be one big glass of lemonade because apparently for Toys R Us there are still quite a few lemons left in their trees. Toys R Us Inc. is actively searching for licensing partners to help them help kids enjoy the very things that put their larger than life toy stores on the map in the first place, in the U.S. by the next holiday season. Former Toys R Us executive Richard Barry who is now CEO of True Kids Inc., a sort of rebranded Toys R Us 2.0, has expressed an interest in reviving the toy stores along with its Babies R Us counterpart in the U.S. by December 2019. In spite of the now-defunct Toys R Us properties throughout the US, United Kingdom, and Australia, the world famous toy warehouse continues to flourish within Asian countries where many of the stores remained open for business. But don’t go slaughtering your piggy banks just yet in the hopes that you will be first in line at any grand openings of an official location. Although nostalgic shoppers eager to relive their past could possibly see the construction of a stand-alone establishment, there is also the potential for this new resurgence to materialize as an in-store pop-up shop and/or have an online presence. As of now efforts to expand within Asian and European locations are under current exploration as 70 new stores are scheduled to open this year. Nothing is confirmed as of yet as to if, when, and where the U.S. will see some action in this new phase of the Toys R Us shopping venture. So while all of the grownups are busy sorting out these details, why don’t the rest of us continue to live by the timely advice to avoid growing up. You know because if we did, well then we couldn’t be Toys R Us kids!